February 29, 2016 (Tony Cartalucci - NEO) - News agencies are reporting on a Wikileaks report detailing the EU's "Operation Sophia," an allegedly covert military operation aimed at stemming the flow of refugees into Europe. WikiLeaks has released a "classified report" about the first six months of Operation Sophia, the EU military intervention against refugee boats in Libya and Mediterranean. The leaked report is dated 29 January 2016 and written by the operation commander, Rear Admiral Enrico Credendino of the Italian Navy. It allegedly provides statistics on refugee flows and outlines the phases of Operation Sophia, including future strategies of the operation. The report has been published for the European Union Military Committee and the Political and Security Committee of the EU. The report published by WikiLeaks notes that their "exit strategy" involves ensuring that a "well-resourced Libyan Coastguard can protect their own borders and prevent irregular migration taking place from their shores". It also mentions an "EU comprehensive approach to help secure their invitation to operate inside [Libyan] territory". 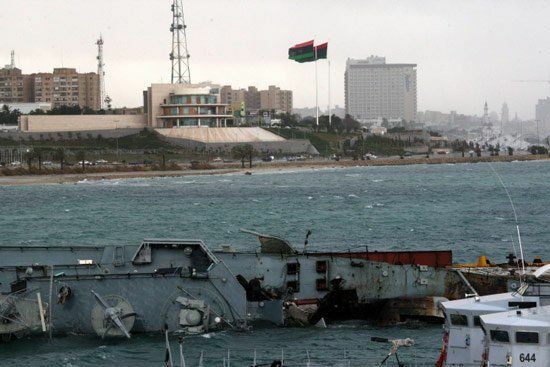 It is particularly ironic that the EU now sorely needs a Libyan navy to police its own coasts because until 2011, it already had one. Some may wonder what happened to that navy. Within the answer lies the irony. In broad daylight in the middle of May, 2011, NATO laid waste to three separate locations in the North African nation of Libya. The targets, more specifically, were ports used by the nation's navy. Several warships would be sunk, among many more that would be destroyed during the conflict. 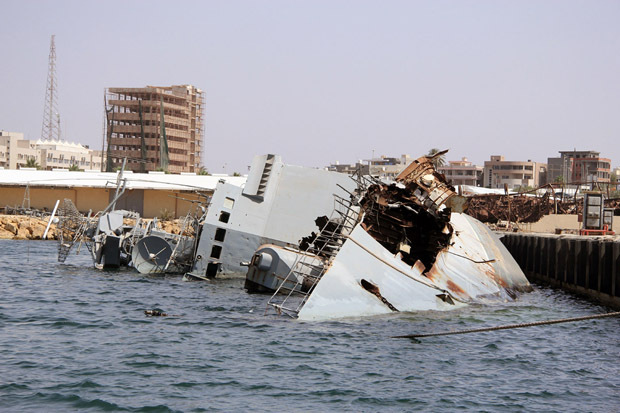 In addition to ships, the facilities supporting them were also utterly destroyed. Even before the first NATO bomb dropped on Libya in 2011, geopolitical analysts had warned of the refugee crisis that would be triggered along with a variety of other humanitarian and security concerns that would evolve with the destruction of not only the Libyan navy, but the stabilizing effects of the Libyan government itself. Indeed, many migrants and refugees from across Africa came to Libya to live and work. They were supported by and supporters of the Libyan government, but reviled by US-backed terrorists based in eastern Libya's Cyrenaica region. 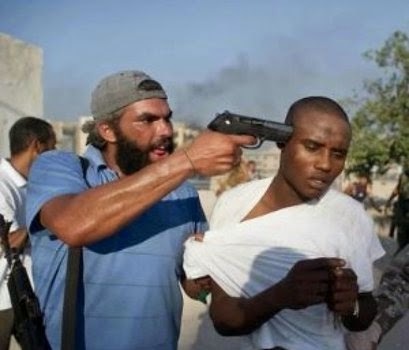 During the conflict, the Western media disingenuously depicted these Libyans as "African mercenaries" to account for the subsequent racist genocide carried out by NATO-backed terrorists. When the terrorists of Benghazi, Derna, and Tobruk finally overran the country with NATO backing, entire cities of Libya's black population were emptied out either through genocide, into concentration camps, or driven out of the country into neighboring Egypt, Tunisia, and Algeria. Refugees eventually following those who destroyed and plundered their nation back to the den in which their nation's future was stolen to, was all but inevitable. NATO's own terrorist proxies were also expected to leverage the lawlessness of America and Europe's "new" Libya, turning it into a base for Mediterranean piracy and human trafficking. The US State Department itself, in post-regime change Libya, would go as far as constructing terrorist networks through which weapons and fighters were forwarded to Turkey and onward to Syria and Iraq. If the continent of Africa and the many countries within it subjected to both over and covert Western meddling, exploitation, and subversion was a bottle, Libya was the cork. It provided a means of preventing the pressure building up from various conflicts from exploding into Europe - one of the primacy culprits driving these conflicts. 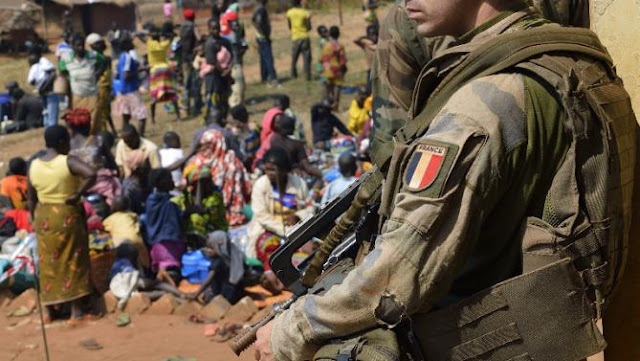 France alone - one of the most vocal nations decrying the "migrant crisis," currently has troops stationed in African nations including the Central African Republic (2,000), Chad (950), Ivory Coast (450), Djibouti (2,470), Gabon (1,000), Mali (2,000), and Senegal (430). These nations either constitute, or are bordering those nations producing the most refugees flooding in to Europe with the exception of Syria, which France, along with several other European nations and the United States are bombing and arming terrorists on the ground in, and Afghanistan, occupied by NATO since 2001. With Europe's very intentional transformation of Libya from a bastion of stability to a divided and destroyed wasteland, the bottle was uncorked, and the poisonous brew the US and Europe had been developing, exploded like a volcano. Europe plays the victim of a region-wide conflagration it itself not only intentionally lit, but continuously poured gasoline upon ever since. The missing Libyan navy it itself helped send to the bottom of the Mediterranean being cited as a contributing factor to the severity of the current "migrant crisis" is an indictment of the "international order" the EU and its Transatlantic partners both claim to uphold, and predicated the destruction of Libya and the incremental occupation of the African continent upon. For other nations around the world, including Eastern Europe, Russia, and beyond, who played no role in the West's various wars - or even openly opposed Western military aggression - they have no obligation to take responsibility for refugees created by these wars, thus attempting to wade into the refugee debate in Europe is both unnecessary and unbecoming. Regardless of how the US and Europe attempt to wield "international law," it is clear that they are directly responsible for the instability driving millions of people from their homes, and they have intentionally elected to continue destabilizing these regions of the world. They cannot elect, therefore to avoid the consequences of their meddling, nor demand others to share the burden of these consequences. That the EU desperately seeks the help of a fleet it itself sent to the bottom of the sea illustrates perfectly the self-inflicted nature of this crisis. Finally, it should be noted, that the Wikileaks report also indicates that not only does the EU seek to replace a fleet it itself sank in 2011 which led to the crisis in the first place, it is also seeking to expand EU military jurisdiction far beyond EU territory, predicated on a disaster of its own making. For Europeans - many of whom were complacent as their respective governments went to war against Libya in 2011 - they must understand that the chaos unfolding in their streets has not only been intentionally created, but is being cynically used to expand the control of special interests both at home and abroad. With the EU's naval operations extending into Libyan territory, it will be all that much easier to secure and exploit Libya's coastal oil assets, while keeping the rest of the country divided against themselves and collectively too weak to protect and use their own resources for their own nation's future. Unfair hands are being dealt all around. Instead of fighting over who has the worst hand, the world must expose and deal with those who have rigged the deck.